After publishing prototype renderings of its $8 million DBS GT Zagato hypercar, Aston Martin has just unveiled its first electric car with the “Rapide E,” at the 2019 Shanghai Motor Show. Production is strictly limited to 155 units, and the special model was created in conjunction with Williams Advanced Engineering. 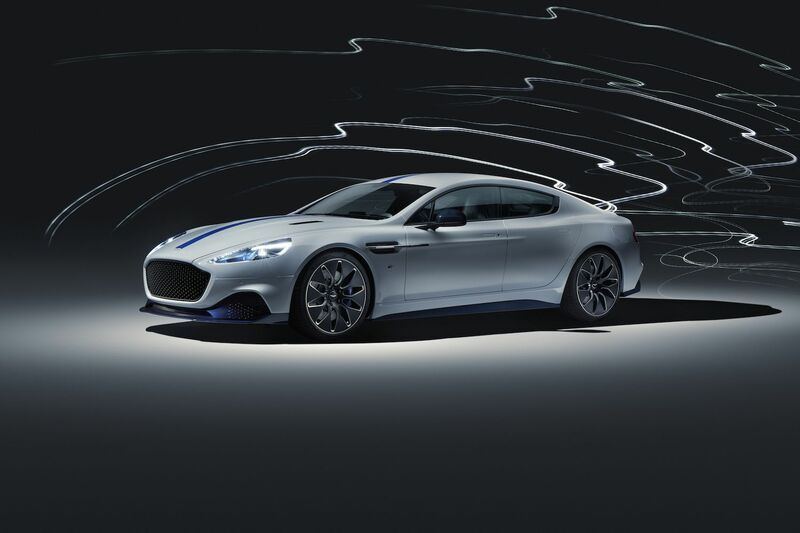 In terms of its design, the Rapide E flaunts the British luxury brand’s signature aesthetic and bears similarities to the gas-powered Rapide S, but updated with a re-designed underfloor that “streamlines airflow from the front splitter right the way through to Rapide E’s new larger rear diffuser.” This is applied since electric cars require much less air and further improves its aerodynamics. The vehicle also features a carbon fiber and kevlar-protected 800V electrical power control unit, which is installed where the V12 engine, transmission and gas tank usually is. Aston Martin says the Rapide E can accelerate from zero to 60 mph in under four seconds, and has an electronically restricted 155 mph top speed. Orders for the Rapide E are now accepted, with prices available on application. However, pricing is suggested to be more than the gas-powered Rapide S, which retails over $200,000.